 KLAS Cites PET/CT ROI, Competitive Edge - ONRAD, Inc.
ImagingEconomics | While new modalities are rare, there has been an increase in combinations of tried and true technologies that promise to give radiologists and the health care enterprise a diagnostic and competitive edge. One of these hybrid offerings, PET/CT, was the subject of KLAS’ newest study, “PET/CT 2011—New Technologies in Focus,” which includes reviews of the top three vendors in the market space: GE Healthcare, Philips, and Siemens. According to Kirk Ising, KLAS chief of operations, in an interview with Tech Edge, two things are crucial in the decision to adopt PET/CT technology based on surveys with top administrators and clinicians. “It must be able to give a return on investment and it needs to give a competitive [edge]. If it can be cost justified, then an administrator will purchase it,” he said. While the ongoing difficulty of procuring radiopharmaceuticals was listed as one of the challenges facing the hybrid modality, Ising discounted this as a major cause of any hesitation. “If it was a couple of years ago, then that would be a problem, but the new technology actually uses less radiopharmaceuticals,” he said. Instead, the biggest challenge is capacity. “There is not a high scan volume, we found that to be the case almost universally that few users were running at procedure capacity. Even more surprising, there wasn’t as much CT overflow—you can use the CT separately—as I thought there would be,” Ising told Tech Edge. Of the devices surveyed, GE Healthcare scored ahead of both Siemens and Philips with an overall score of 87.7 out of 100, but this first place position was held only by a slim margin. According to the study, all three vendors offer similar baseline technology with a few obvious differences. While GE Healthcare Discovery PET/CT excels in implementation, medical imaging service, and support, it lost points for account management—specifically too much “nickel and diming” during the process, and providers surveyed said that the technologist interface was not very easy to use. However, all of the Discovery clients interviewed said that they would select it again and that they would recommend it to a colleague. The Siemens Biograph was also well liked, and users were very positive about implementation, account management, and image quality. Philips’ Gemini clients were more than happy with the contracting experience, the functionality, and the larger bore size, as well as reporting excellent image quality. The respondents felt, however, that the physical ergonomics of the device was lacking in terms of patient comfort.